With Life Data Analysis we’re able to crunch your returns data and provide information that will help you determine failure modes that require your urgent attention along with those that you can expect to continue at low occurrence, and cost. Life Data Analysis provides a means to gauge the effect of field stress on product life, and there really is no data like real data. With this information in hand you can accurately produce accelerated tests for the next product undergoing development, or you could use the lessons provided by the data to correct design or manufacturing processes that are causing issues in the field. Life data analysis can provide huge benefits to companies in providing early-warning signals when there is a serious product problem in the field; which gives companies time to mobilise their resources to meet the challenge before serious financial, legal or other problems occur. How can Life Data Analysis help? Depending upon what you are looking for we have various means to collect and analyse field data in order to perform a Life Data Analysis. 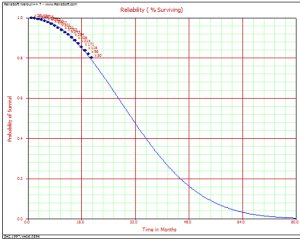 If Management, sales or marketing are requesting product reliability information then we collect units sold per month vs units returned per month, this data is then crunched to provide the true field reliability. For research & development, product reliability is determined by collecting and crunching the number of units installed in the field per month vs units returned per month. 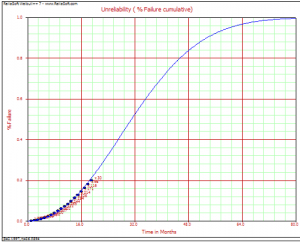 If R&D requires analysis of all failure modes then we collect usage hours and separate the failure modes, this method can also be used for qualifying engineering changes. 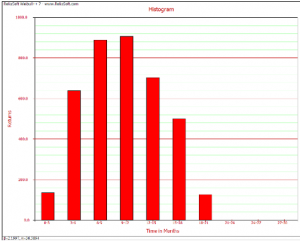 If Manufacturing requires analysis for checking consistency and/or pointing out supplier, manufacturing process or component batch realted issues we collect the number of units manufactured per month and compare this to the number of units returned per month; the life data analysis is performed on each month individually. When should we conduct the Analysis? Typically when the product has been in the field for some months, or years. Typically you conduct a Life Data Analysis when you have either a suspicion that there is an issue that you’ve missed during development, or when you need information to help you forecast warranty costs, or when you need to learn some hard lessons, quickly, provide feedback to development of a new product. Alternatively, and a great way to close the loop on development is to instigate a process whereby you ensure that life data analysis is performed at time (x) after product release, and again periodically, with the results feeding back into production, quality, and of course design. If you have any questions about Life Data Analysis, please contact us.